Members (and friends?) of the Judah Phelps household gather for a portrait ca. 1905. 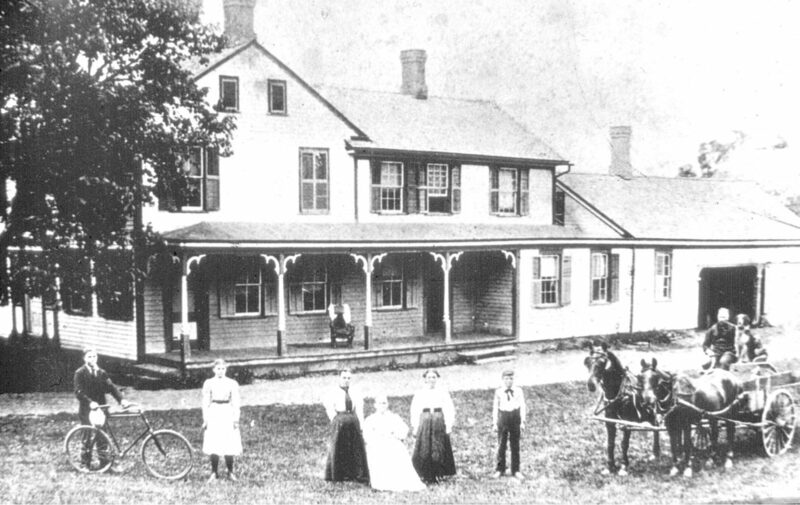 From the left, tentatively: John Kusan, Nora Phelps, Myra Phelps, Maryetta Phelps, Ellen Phelps, an unidentified boy, Judah Phelps, and the family dog. The big house, now gone, stood on Phelps Road across from the end of Newgate Road. Any information helping with these identifications would be welcome.